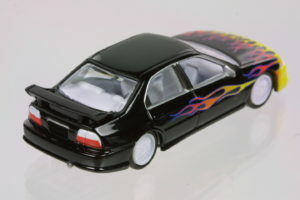 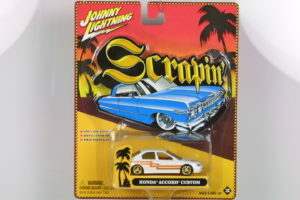 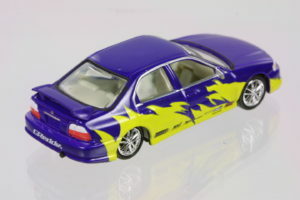 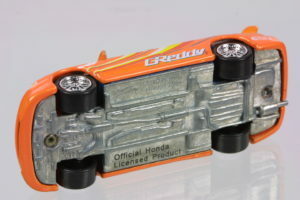 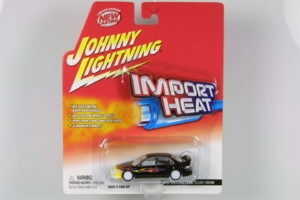 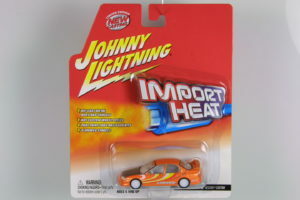 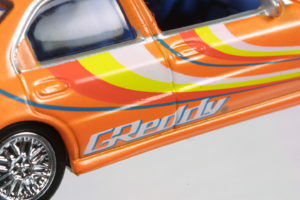 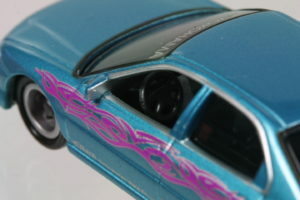 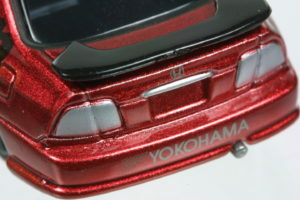 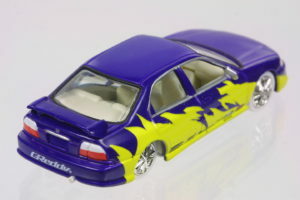 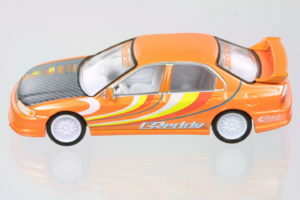 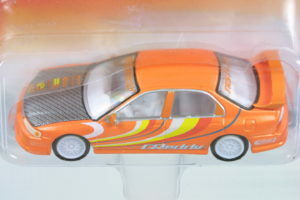 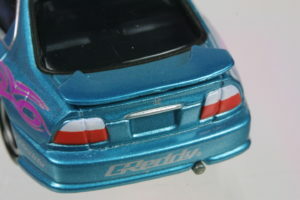 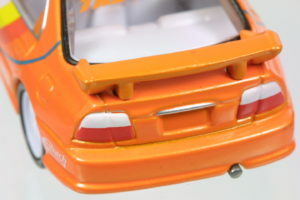 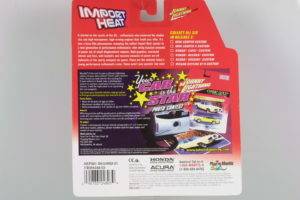 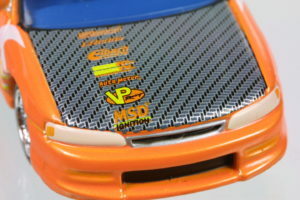 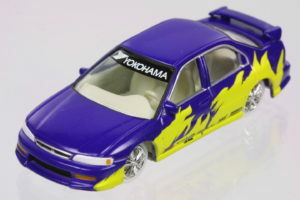 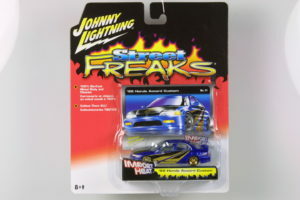 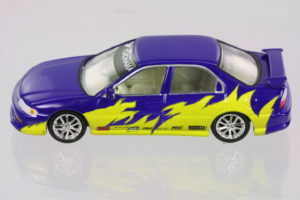 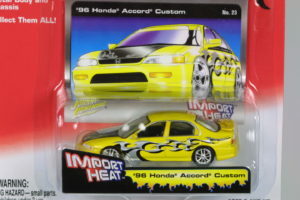 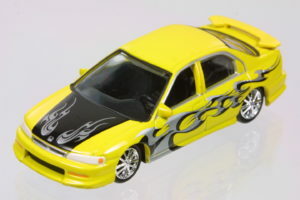 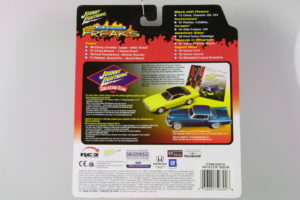 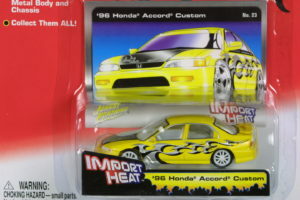 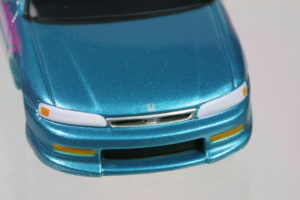 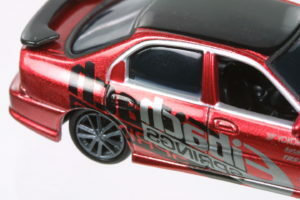 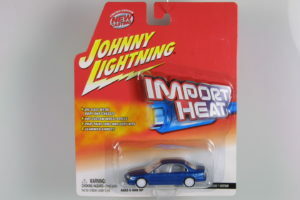 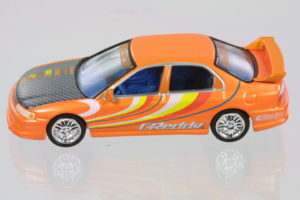 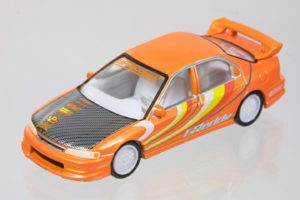 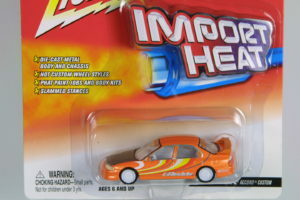 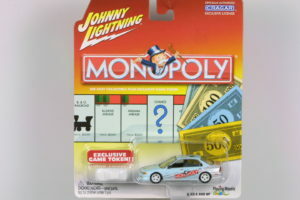 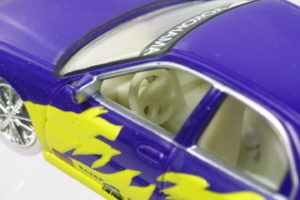 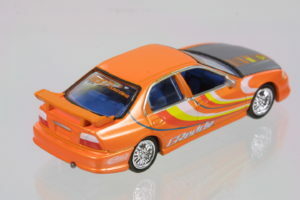 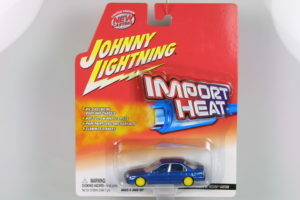 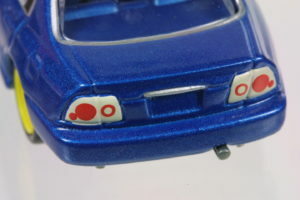 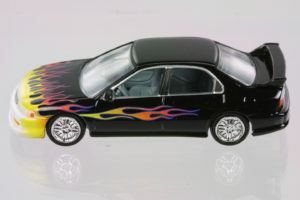 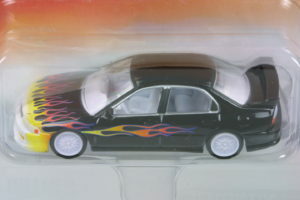 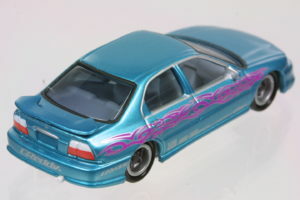 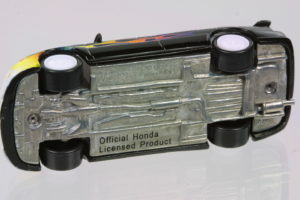 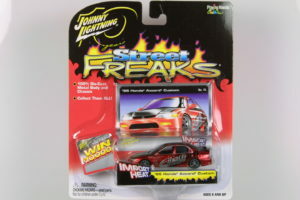 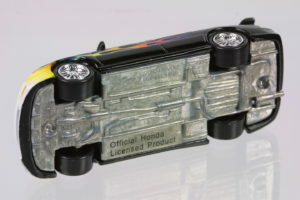 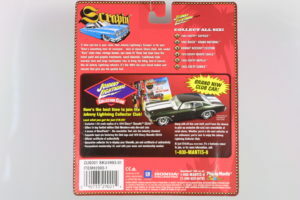 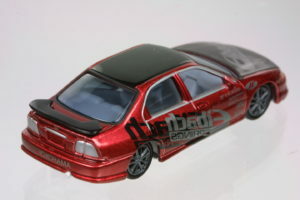 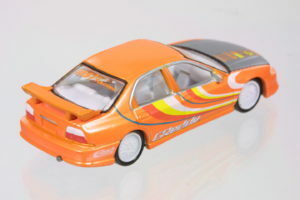 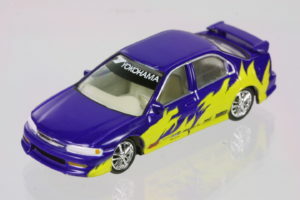 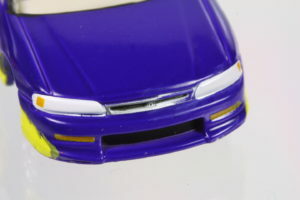 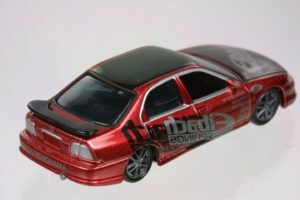 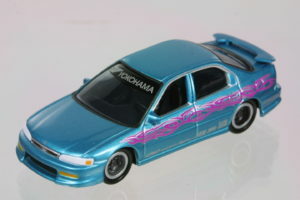 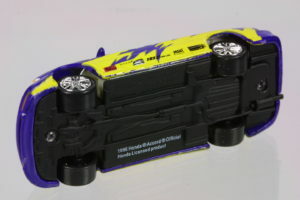 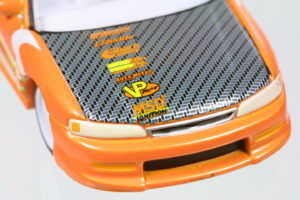 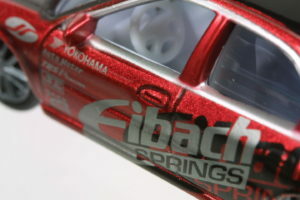 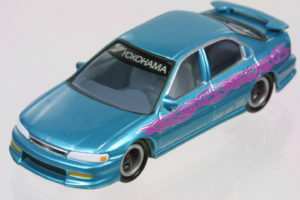 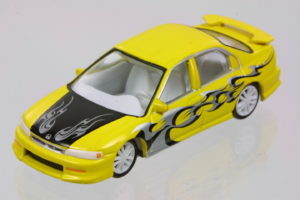 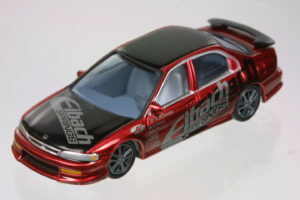 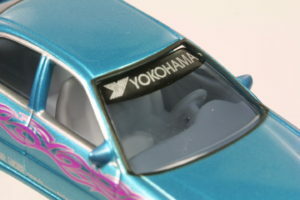 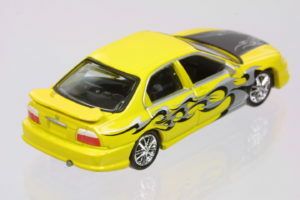 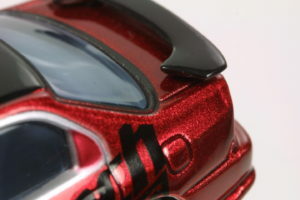 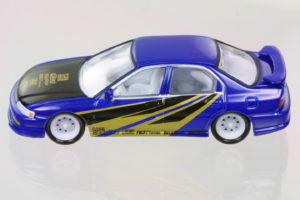 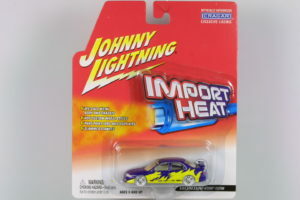 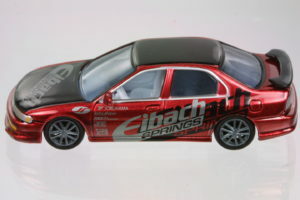 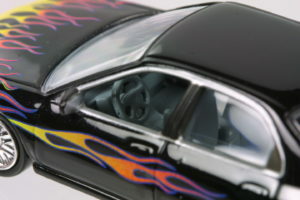 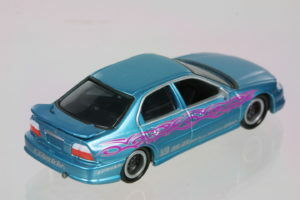 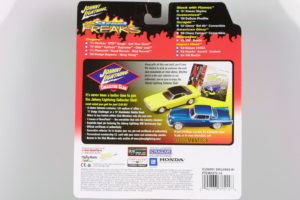 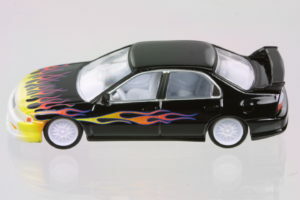 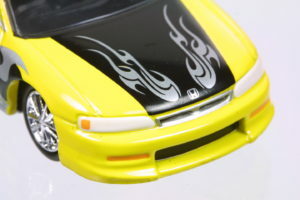 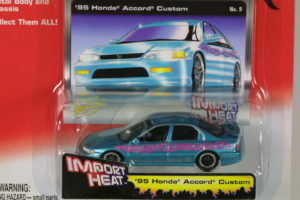 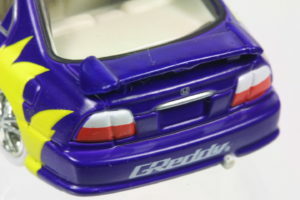 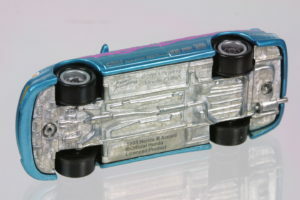 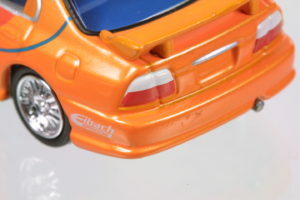 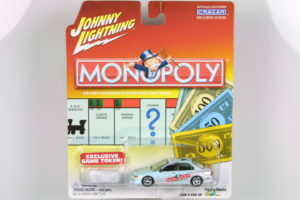 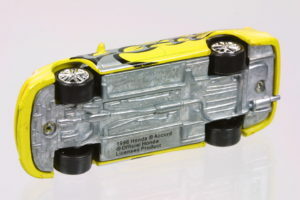 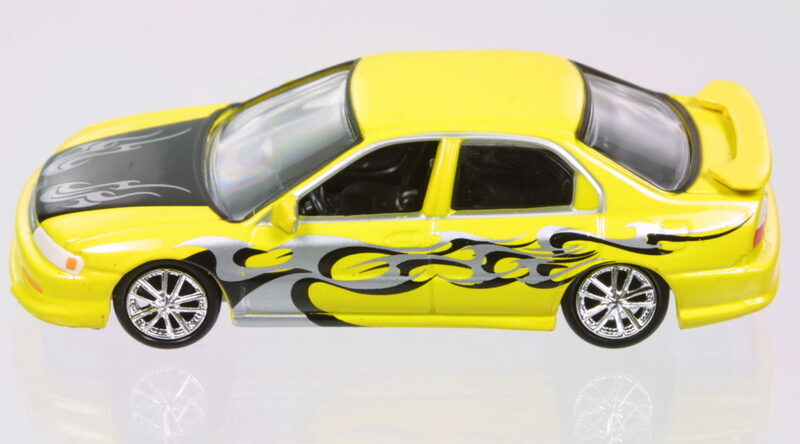 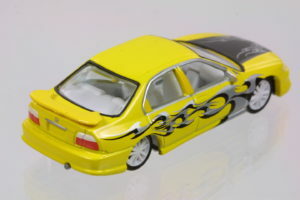 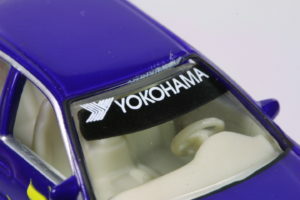 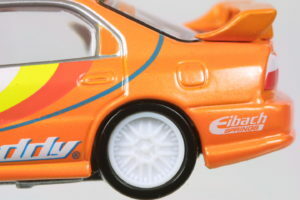 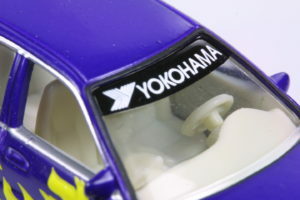 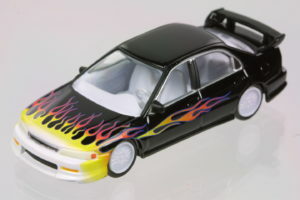 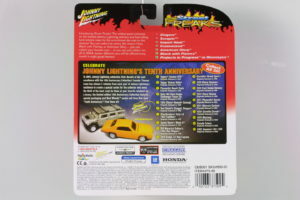 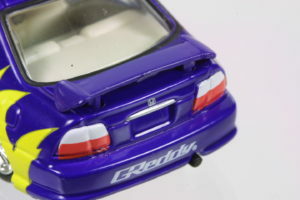 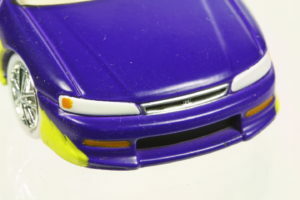 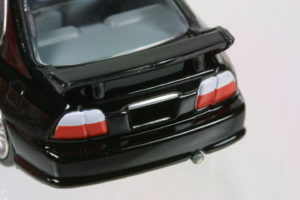 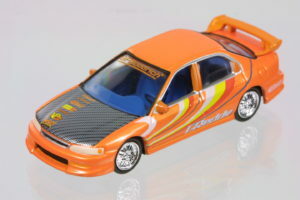 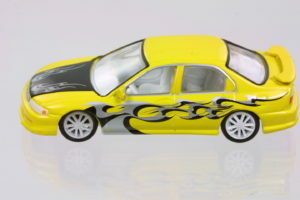 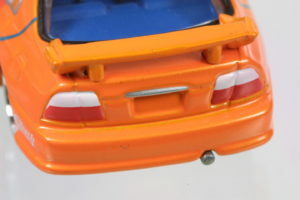 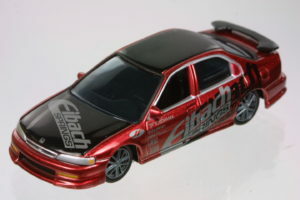 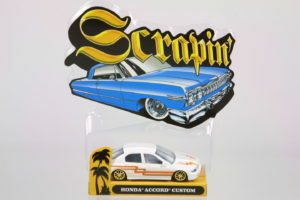 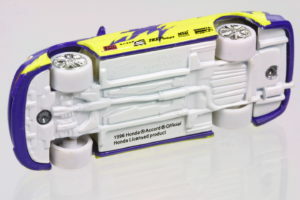 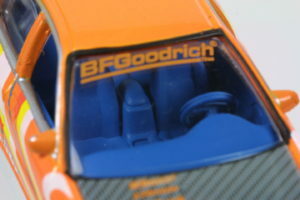 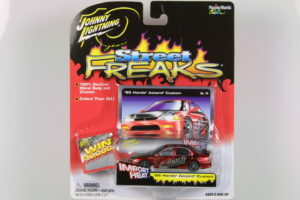 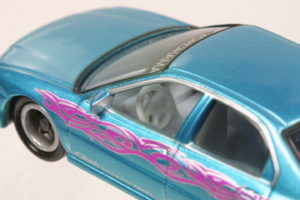 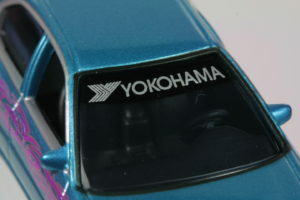 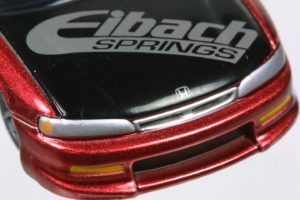 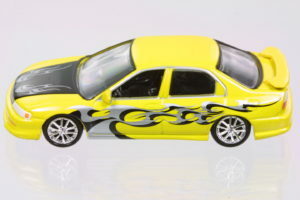 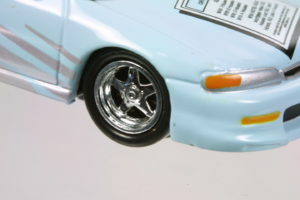 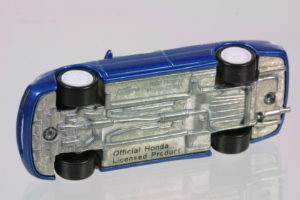 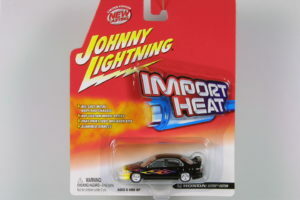 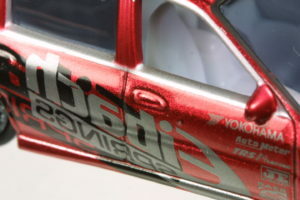 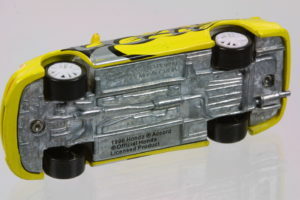 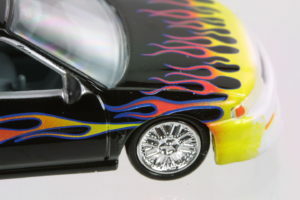 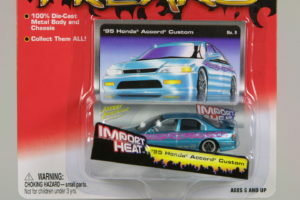 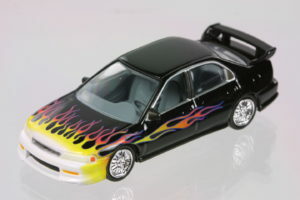 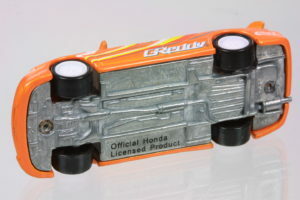 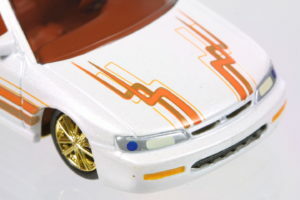 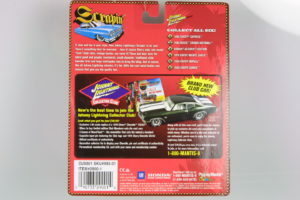 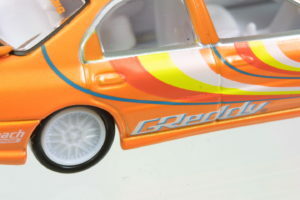 Johnny Lightning has 1:64 versions of the ’96 Honda Civic Hatchback, ’97 Acura Integra R and ’94 Honda Accord Sedan. 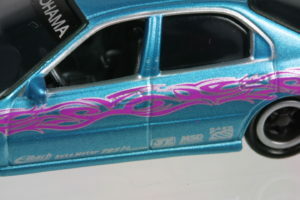 These cars were released in different colors and graphics over different 4 series. 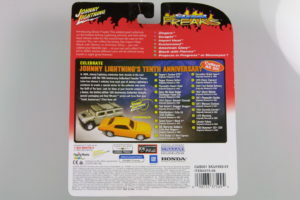 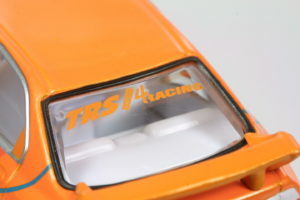 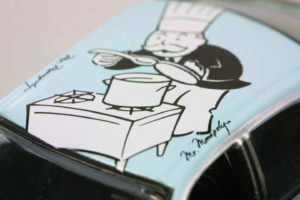 Each design was released in a regular and a white lightning version with much smaller production numbers. 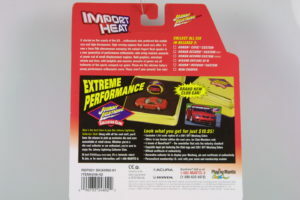 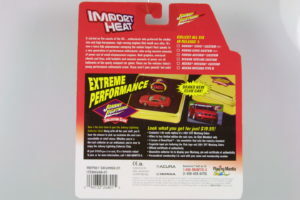 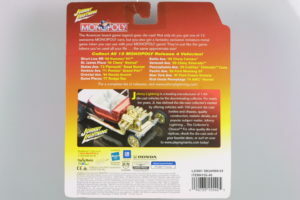 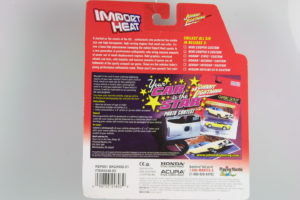 The red and white “Import Heat” blister card packages. 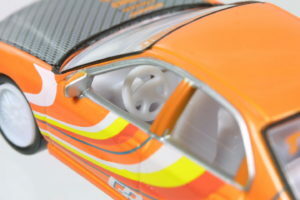 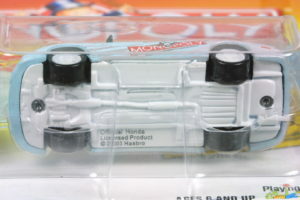 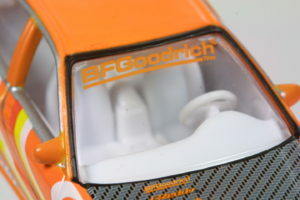 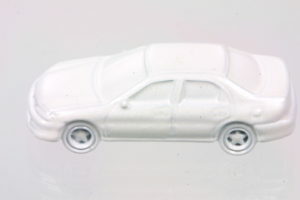 White Lightning version with white interior and white base. 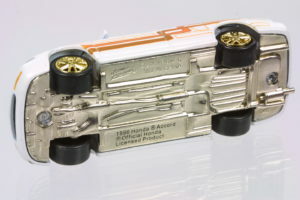 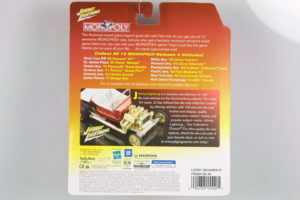 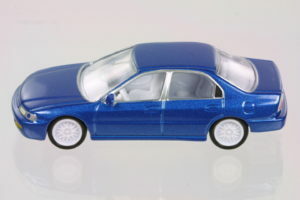 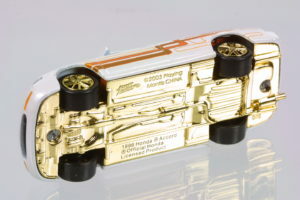 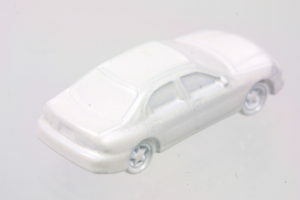 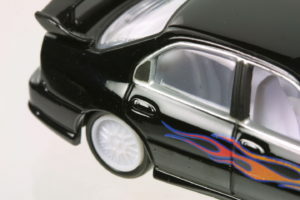 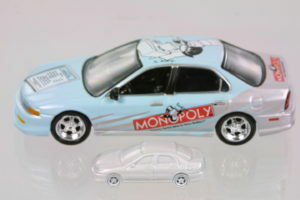 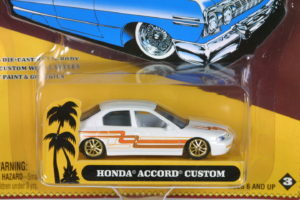 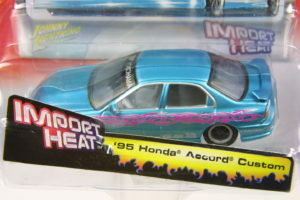 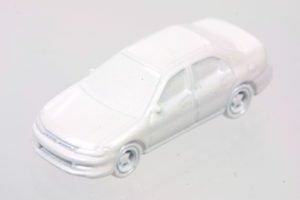 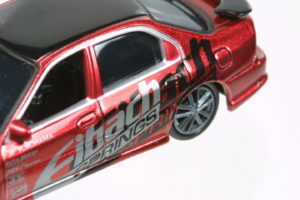 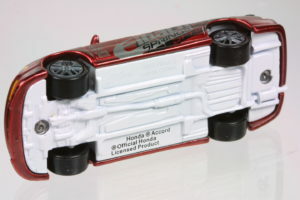 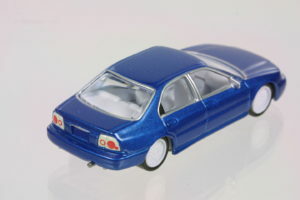 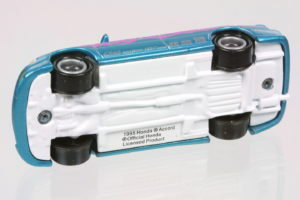 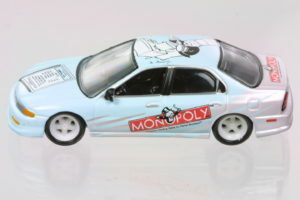 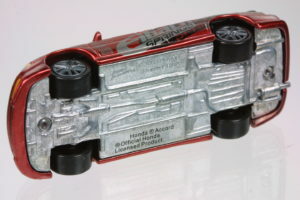 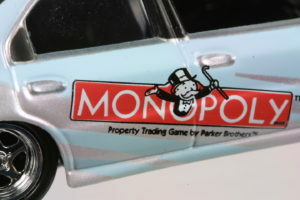 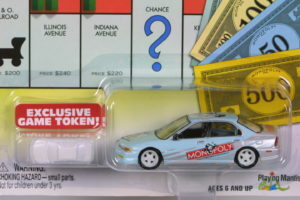 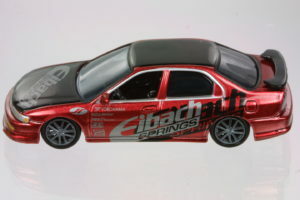 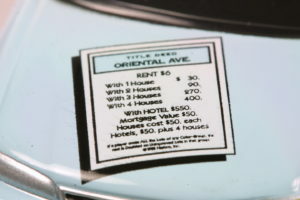 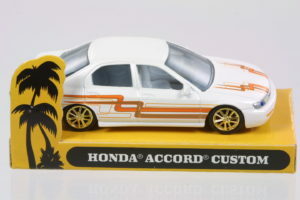 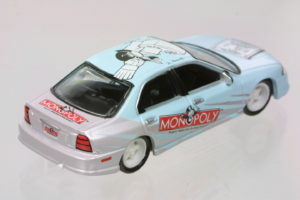 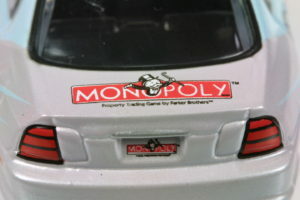 From the Monopoly Series, a 1:64 Monopoly decorated Accord plus a Monopoly token in the shape of the Accord in approximately a 1:100 scale. 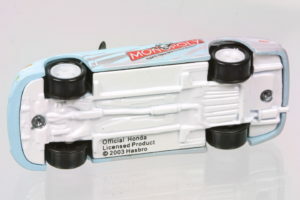 White Lightning Version with white base and white wheels. 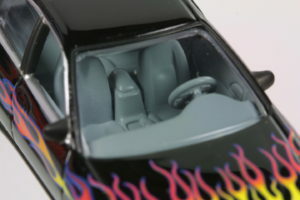 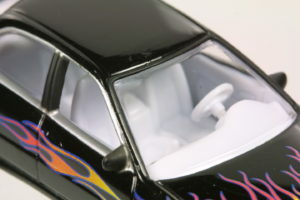 White lightning version with white interior. 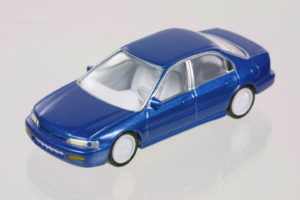 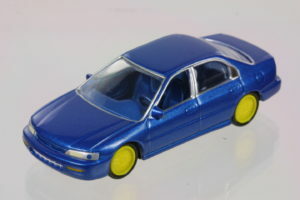 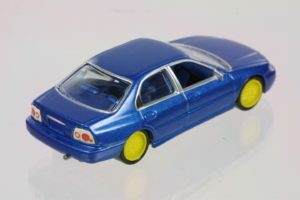 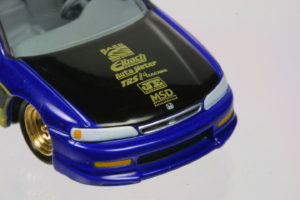 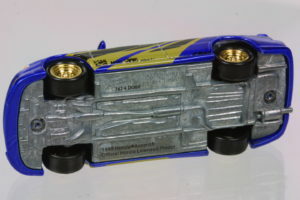 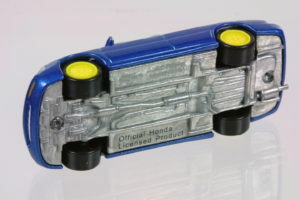 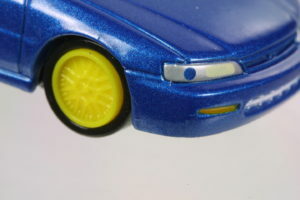 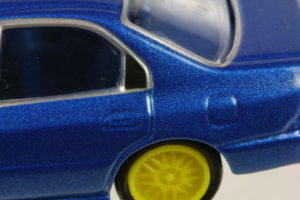 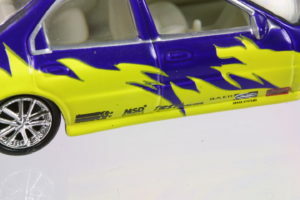 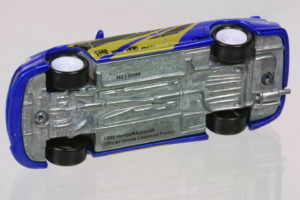 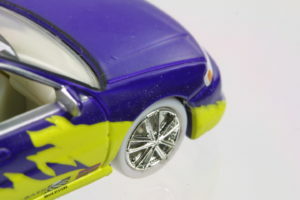 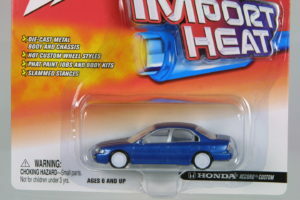 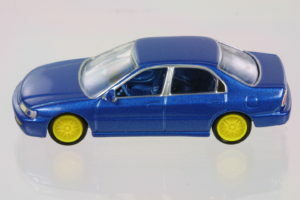 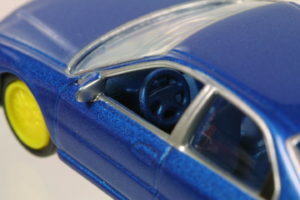 Blue Accord with a blue interior and yellow wheels. 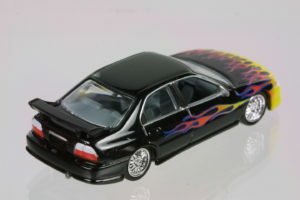 Black accord with grey interior and chrome mesh wheels. 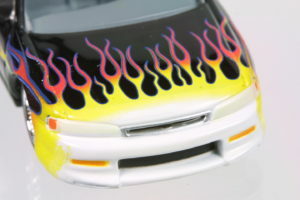 Flames markings on the front. 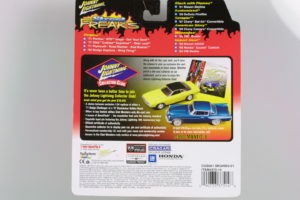 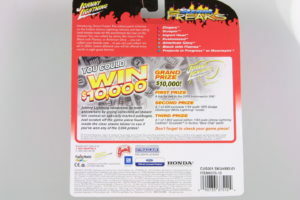 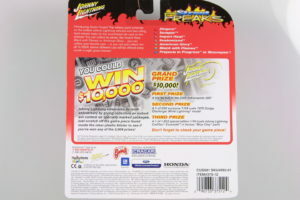 The last issue in 2005, a blue with black hood and black/gold graphics. 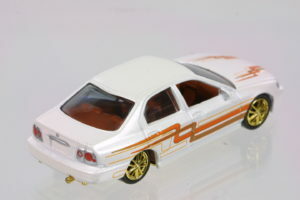 White Lightning version with white interior and white wheels.